Leander are famed for the design of their online slot games, and whilst they have designed and launched some fun to play slot games over the years, one on their slots which really does stand out is their Dolly slot! 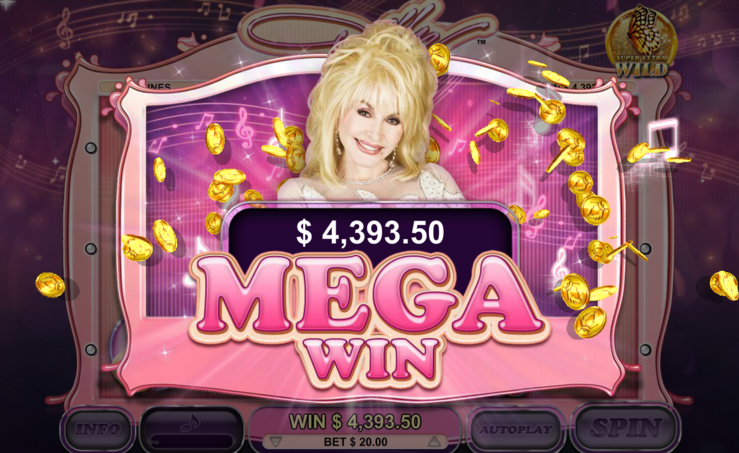 This slot, if you haven’t worked it out yet, is themed completely around Dolly Parton and as such do expect to see her spinning in via her own set of fully themed reel symbols when playing this slot online! In fact, there are quite a number of bonus games and bonus features that you could be awarded with when playing it so read on for more details as it is a slot worth playing! The Dolly slot machine is a slot on which 40 paylines are on offer and lots of different staking options are also available. However, this is one of only a small handful of slots launched by Leander that is jam packed full of bonus games and bonus features! You will be able to play it online for free or for real money and do try and give it some play time even via the free play version of the slot for when those bonus games do start to trigger you will see just how exciting a slot it can be to play. You need to have spun in a bonus symbol on reels two, three and four all in the game spin for you to get to play off the bonus game attached to the Dolly slot. Those symbols are the Gold Disc symbols and when they spin in you then have to spin a bonus wheel to find out just what bonus game you will end up playing off. Two of those bonus games are pick to win style bonus game on which you simply have to select items of the screen to then reveal just how much you are going to win. The additional bonus game that can be triggered is a set of free spins as described below. 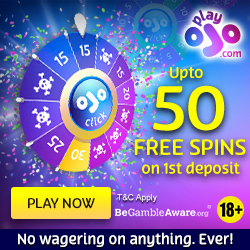 You are only going to end up playing of a set of 8 free spins if you spin in the free spins bonus game when the main bonus game has been triggered on the Dolly slot game, however those free spins do come with a unique playing structure. When you start to play off your awarded 8 free spins a set of extra wild symbols can be randomly added onto the slot game screen on any free spin played off and when they do so they then lock onto those reel positions for your remaining free spins! The jackpot paying reel symbols are the Wild symbols and as much on any spin you play off you will be hoping all five of them spin in and line up on any of your pay lines. However, when one or more of those wild symbols spin in they will first expand upwards and/or downwards which will result in every single in view reel position on the reels they spun in on being covered in wild symbols, which should hopefully see you then forming multiple winning combinations, much more so when more than one of those symbols have been spun in. 4 Wild symbols in a line pay 150 coins. 3 Wild symbols in a line pay 50 coins. 500 coins are paid when 5 Logo symbols line up. 150 coins are paid when 4 Logo Red symbols line up. 50 coins are paid when 3 Logo Red symbols line up. What we did like about the Dolly slot game form Leander apart from its playing structure, format and the many different bonus games that can be triggered when playing it online is that you can also pick out one of many backing tracks which will be playing out as you play the slot. By clicking on the backing track selection menu you will then be presented with a list of many Dolly Parton songs and you can then select the one you wish to hear playing in the background a you spin the reels to trigger the bonus games! 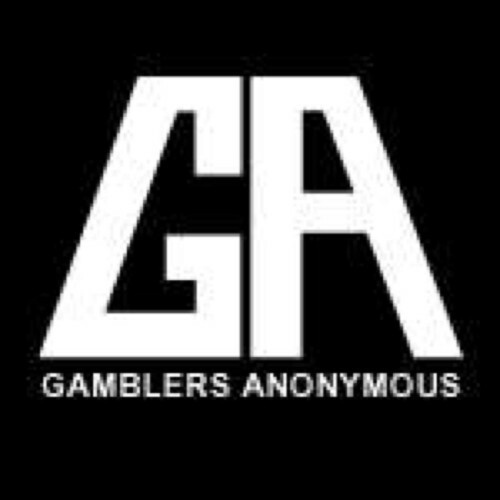 We always also try and find out just how high or low the long term expected payout percentage is on every single slot game we review throughout our website, as that figure when revealed will often help make up your mind as to whether you should playing any of those review slots. The long term expected payout percentage of the Leander designed Dolly slot game is surprisingly high, working out at some 94.89%, so it should give you plenty of value from your bankroll if you do decide to get stuck into playing it!